The Purchasing and Warehouse Division is responsible for procurement in accordance with the city's purchasing ordinance and all other applicable procedures and policies. This division is also responsible for inventory of materials and supplies and timely response to internal customers. View a listing of our current RFQ / RFPs, past bids, or award information. 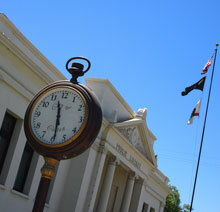 The City of Colton welcomes your interest in doing business with us. The City of Colton Purchasing and Warehouse Department is dedicated to the principles of competition and fairness. Our goal is to ensure that Colton taxpayers receive the maximum value for all expenditures. 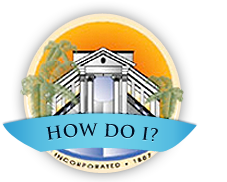 Towards that goal, we encourage qualified vendors to participate in doing business with the City of Colton. We purchase all types of items and services. The business of city government consumes large amounts of goods and services. In the last 12 months, the city purchased approximately $8 million worth of goods and services through the issuance of over 1,600 purchase orders. Procurements over $25,000 generally involve a standard sealed bid process through the Online Bid System Network (BidNet). This bid system allows all vendors easy online access to Bids, RFPs, RFQs, addendums, and bid results. All interested vendors must register to access this information. If you need assistance when registering, please contact BidNet. BidNet provides all technical and customer support for this system and will be happy to assist you.